WASHINGTON—Returning from Rome after a college semester abroad in the spring of 2014, Tommy O’Donnell found himself before the Blessed Sacrament in a chapel after Mass in his hometown of Catonsville, Maryland. In the silence, O’Donnell came to the full realization of his call to join the priesthood, leaving the chapel determined to become a priest. “All the sudden, years of anguish, months of confusion and joy, and so many mixed feelings, emotions and experiences, just finally, in the silence of prayer before the Lord, became peacefully clear,” O’Donnell said in an interview with Catholic News Service Aug. 2. O’Donnell will begin seminary studies at Mount St. Mary’s Seminary in Emmitsburg, Maryland, in mid-August, where he will remain for the next seven years. His time there will include a pastoral year. With deep family roots in the Archdiocese of Baltimore, O’Donnell is looking forward to returning to his home archdiocese after seminary and, God-willing, becoming a parish priest. 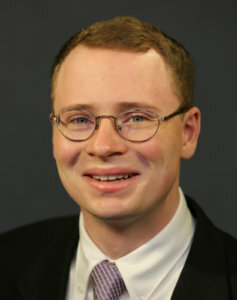 Growing up in a Catholic family with two younger siblings and attending Catholic schools throughout elementary school, high school and college, O’Donnell didn’t seriously consider the priesthood until his early college days, after beginning to take his faith seriously toward the end of high school. The witness of the Xaverian religious brothers at his high school, Mount St. Joseph’s in Baltimore, slowly began to introduce ideas about religious life to O’Donnell. O’Donnell remembers first hearing the call to join the priesthood during a homily by his pastor, Father Christopher Whatley, at St. Mark Church in Catonsville during the funeral of one of O’Donnell’s high school mentors, Brother James Kelly, who died in 2011. Father Whatley recalls the homily that he gave that day, where he likened Brother Kelly to St. Ignatius of Loyola. After O’Donnell graduated from high school, Father Whatley appointed him in an ad hoc position to the parish council at St. Mark’s, as a representative of the young people. “He said to me that seeing that dimension of parish life was something that he also integrated into his consideration of a vocation,” Father Whatley said. Attending Jesuit-run Loyola University Maryland in Baltimore, O’Donnell spent about one year discerning joining the Jesuit order, before then entering the order’s Novitiate of St. Andrew Hall in Syracuse, New York. He remained there for three weeks in August 2015 before discerning God was calling him elsewhere. “That was a really great period of learning a lot about the spirituality of St. Ignatius and spiritual exercises, and discernment,” O’Donnell said. After his discernment out of the Jesuit order, Father Whatley said to O’Donnell that he was sure that God has something very special that he wants O’Donnell to do. For the past two years, O’Donnell has worked in the Secretariat of Pro-Life Activities at the U.S. Conference of Catholic Bishops, helping to prepare trainings and other events for dioceses across the country. He also was involved in preparations for the bishops’ national “Convocation of Catholic Leaders: The Joy of the Gospel in America” in Orlando, Florida, in early July. “It has been a real joy serving the pro-life office and working for the bishops,” O’Donnell said.